The 787 is taunting me. Teasing me. In fact she’s being downright elusive. Ever since the 787 Dreamliner was introduced by Boeing it has been our goal, as the airlineguys, to fly on this revolutionary, highly technical airplane. After years of delays and issues with the lithium-ion batteries, which grounded the entire fleet worldwide, the 787 made a triumphant return to the skies on April 29, 2013 with Ethiopian Airlines. Currently, United Airlines is the only US-based carrier flying the 787. 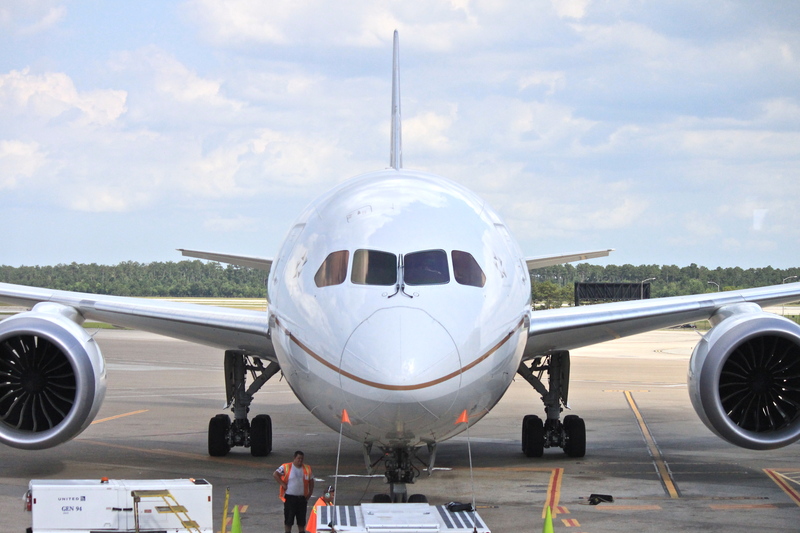 When United introduced the Dreamliner they were flown on domestic routes to test its reliability and serviceability. After the much talked about grounding, the 787 was re-introduced to the domestic sector, again to test reliability, serviceability, and to monitor the lithium-ion battery fix. As planned from the outset, United’s 787s were designed as an international long-haul product. 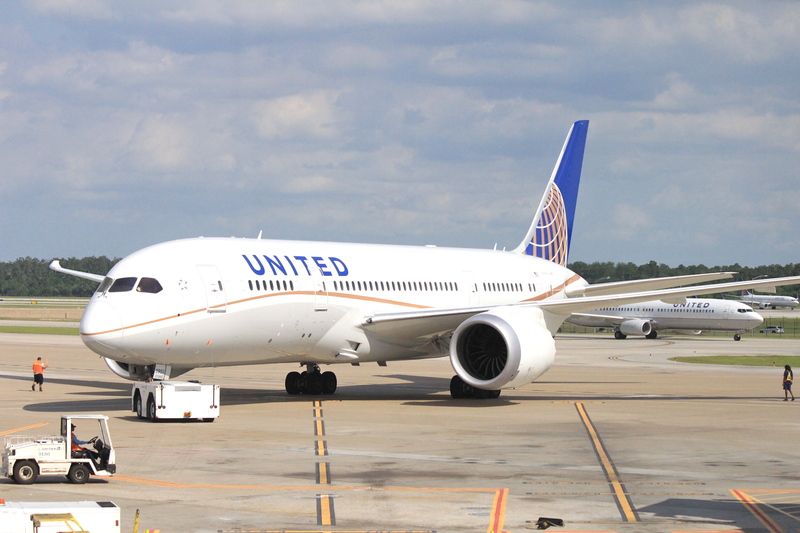 So, it was with excitement when United announced that the Dreamliner would fly domestically until the summer schedule went in to full effect, at which time the 787s would fly their intended routes, international. It was our chance to fly this magnificent plane. Unfortunately airlineguy Darin couldn’t join me on this adventure (we gotta get him on a 787 soon!). The first attempt to fly the 787 was a bust! I didn’t make the flight out of Atlanta to make the connecting 787 flight in Houston. Talk about being majorly bummed. Not wanting to take any chances on the second attempt, I flew to Houston the night before and got a hotel room. So, now here was my dilemma: standby for the early (7a) IAH – ORD flight, or take the mid-morning (11a) IAH – ORD flight. Against everything I know when it comes to standby travel, I chose the mid-morning flight. (@FriendlyStew and @NonRevAdventure I’ll take your advice next time). All seemed fine until I woke up the next morning to find out that the 11a departure had an equipment swap from a 787 to a 757. Oh, the horror! Again, majorly bummed. I’m an optimist. I did some research, made some calls, and sent a few frantic text messages. Much to my delight there was a late afternoon (4p) 787 flight from IAH – ORD. With camera in hand, a positive frame of mind, I headed to IAH for a day of people watching and planespotting. Besides getting on the 787, could you ask for anything more entertaining? As you can see, my time spent at the airport waiting for the 787 was well worth it. Yes, she was being elusive, but I had come so far and was not about to give up now. 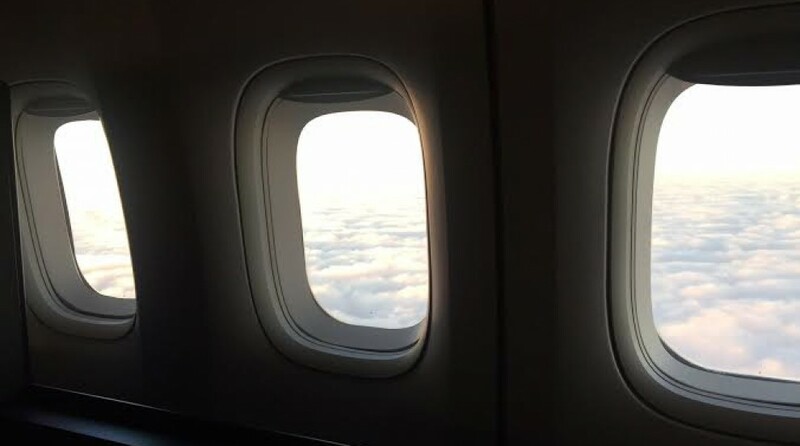 When I received my seat I was beyond excited: window, exit row. A special thank you to ticket agent Heather P (great eye contact, smiled, knowledgeable in job duties) and gate agent Ms. Matthews (smiled, accommodating, calming announcements). They made the check in and boarding process pleasant. Thanks United for an awesome experience! This entry was posted in Uncategorized and tagged 787, airlines, airplanes, airports, avgeek, aviation, aviation friends, boeing, consulting, customer service, dreamliner, flight attendants, united airlines. Bookmark the permalink. I was super excited just to see them at Paine Field. I can’t wait until I get to actually fly on one. They are so quiet from the outside I can only imagine how it is inside. Fly one as soon as you can! We think you’ll love it.